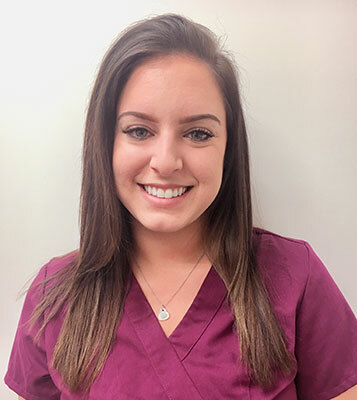 Katelyn graduated with her Dental Assisting Certification from Porter and Chester Institute in Connecticut as a part of the National Technical Honors Society. Her passion has always been helping others so she finds her career as a dental assistant extremely rewarding. She loves to spend her spare time outdoors and with her fiancé, friends, family, and her Pomeranian, Maya.